With sustainability all the rage, it’s well worth the time to look around the house and ask what more we can do to be more environmentally responsible. Two very overlooked areas are yards and gardens, which can represent a significant expense to your wallet and your ecological karma. How can we make the garden just as lush and more sustainable? 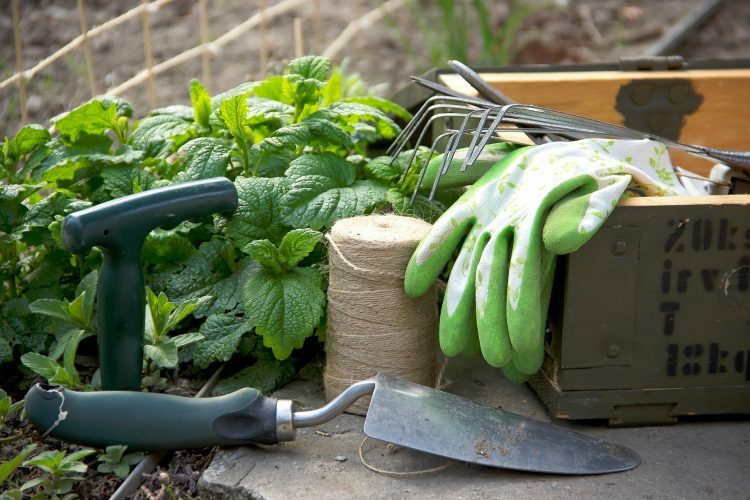 Unfortunately, people who love to garden, whether they grow flowers or vegetables, are prone to plant fussy cultivars that require practically ‘round-the-clock care just to live for the simple fact that they’re not developed to grow in every temperate zone. Expense adds up in extra watering, specialty fertilizers, and plant food and maintenance that’s often more time-consuming than it has to be to keep beautiful plants. The easier and much more environmentally-friendly way to build a more productive garden is to use native plants. Look around the neighborhood, and talk your Agricultural Extension agent to find local introduced and wild species, both considered natives, that suit the climate and the soil. Trading with neighbors and gathering your own cuttings to propagate is much easier on the budget and results in plants that are healthy and happy from the outset. Propagating natives helps improve the DNA in all local plants as well as provide shelter and food for local wildlife, birds, butterflies and bees that are so important in pollination. Through use of perennials and ground work to establish a seed mat of annuals, gardeners who choose natives enjoy reliable plantings that practically grow themselves year after year. Once you’ve taken the first great leap toward sustainable gardening by introducing more native species, it’s time to address other issues of sustainability. One is the prudent use and conservation of water. If you’re lucky enough to live in a rainy climate, you already have rain water to draw on. Rain barrels are easy to buy or to make, and the hardest part of collecting water this way is decidng how best to get it to your beds. Repositioning downspouts on gutters, if you can, also redirects rainwater without much expense. If you’re really committed, you’ll learn how to install a gray water collection system that captures waste water from sinks, bathtubs and washing machines. Just a little filtering prepares this water for use in irrigation – although it’s no longer potable. You’ll save big on your monthly water bill and usually have plenty of gray water available to water your garden. In addition to collecting graywater, sustainable gardeners also learn to make their own compost. Whether you use a manufactured composter or just rake your compost into a pile, you have another gardening resource that doesn’t introduce more toxins into the environment. In addition to saving grass cuttings and raked leaves for compost, add kitchen waste such as coffee grounds, vegetable and fruit rinds and peels, egg shells, fruit and vegetable juices and old bread products. You can even compost paper towels and napkins and newspaper. The result is a rich, nutritious compost to build up the soil in your beds and to use in place of expensive commercially-produced potting soils. You’re also significantly reducing the amount of garbage you send to the landfill. It almost goes without saying that sustainable gardens use as little pesticide as possible. Remove pests by hand when you can, and use the most environmentally-safe pesticides you can find, only when you need to. Find more tips on adjusting your lifestyle: try our blog at iRazoo.com.